Health Benefits Of Chamomile Essential Oil: Sweet Dreams! Home | Essential Oils | Health Benefits Of Chamomile Essential Oil: Sweet Dreams! I’m sure that at some point in our lives, most of us have heard of or encountered Chamomile flowers in some form or another. Their healing qualities have been known to us for centuries, and in fact date as far back as the times of the ancient Greeks. The name ‘Chamomile’ actually translates to ‘earth apple’ in Greek – which is quite an accurate description for the flower once you start to understand the immense healing properties of this amazing natural cure-all. The flower itself and the oil that is produced from it can be used to treat a wide variety of illnesses and ailments that we usually treat with costly pharmaceutical remedies. There are notable benefits for using natural products to help treat your ailments and many are starting to realize this, as the pharmaceutical treatments that they’re using generally have lists of adverse side-effects. Chamomile has strong natural antiseptic, antibacterial, anti-inflammatory and antispasmodic properties that make it effective in treating colds, flu, external or internal infections and cramps. The flower can also be used to treat fevers, help with the digestive process, allow skin and tissue to heal faster and relieve pain in general. But these are just a few of the plants amazing medicinal properties. There are many other healing qualities that Chamomile has to offer as well as its use in skin and hair treatment too. So, much like the old saying ‘an apple a day keeps the doctor away’, adding even a small amount of Chamomile extract or essential oil into your daily routine or diet, could make a huge difference in your overall health, as well as boost your energy levels by enabling better sleep and rejuvenate your body’s natural immune system with the rich minerals, vitamins and nutrients that are contained within this amazing flower. Chamomile essential oil has been used as a traditional and alternative form of medication in Western and Eastern healing practices for many years and is considered to be a great natural pain reliever, digestive tonic and fever treatment amongst many others. The oil of the Chamomile plant was actually discovered by the ancient Egyptians and is a basically a concentrated form of the phytochemicals contained within the plant itself. Chamomile essential oil has a long list of naturally occurring chemicals that are often utilized as active ingredients in a variety of medications that we might buy at our pharmacy or supermarket. Some of these include Alpha and Beta Pinene, Cineole, Camphene, Bisabolol as well as Sesquiterpenes, Terpenoids and Flavonoids. These are only a few of the chemicals contained in the plant/oil, so it’s easy to see why it’s such an effective medicinal treatment. The oil is produced in the same manner as most plant or flower-based essential oil, through a process known as steam distillation. This is one of the oldest methods of distillation that we know of and the principle of steam distillation dates as far back as roughly 340 BC when the Greek historian Pliny noticed that fresher water could be derived through evaporating sea water. The basic process hasn’t changed much for centuries and it’s still regarded as the best means of producing essential oils as the oils are of a high grade and contain no additional chemical or alcohol based solvents that are common in other extraction methods or in the creation of tinctures. In the steam distillation process, the flowers of the Chamomile plant are harvested and crushed (either by hand or in a mechanical press) to help stimulate the release of the phytochemicals contained within. The flowers are then added to a large vat of boiling water and allowed to cook or brew for roughly 5-6 hours. During this time, the steam produced by the boiling water extracts the phytochemicals contained within the organic matter through the process of evaporation (what Pliny noted all those years ago). The steam, which now contains all the essential elements of the organic matter, then passes through to a separate, cooling chamber which is attached to the vat. This movement is largely caused by the difference in pressure between the two sections of set-up. Once the steam reaches this cooling chamber, it gathers and cools over time. As the steam cools, it condenses and forms droplets which are then collected at the base of the chamber and form the liquid that is later bottled as essential oil. In the case of German Chamomile essential oil, the liquid is a dark blue color, whilst Roman Chamomile essential oil is a yellowish, pale blue color. But I’ll discuss the differences between these two versions of the oil in the following paragraph. German (Blue) Chamomile Essential Oil. As with any plant, tree, insect or animal in nature, there are always more than one variety or species in existence at any given time. The same applies to the Chamomile plant and the two most notable varieties are the Roman Chamomile and German, or Blue, Chamomile plants. They are both native to Europe, but are widely cultivated around the world in countries such as North America, parts of South America and Southern Africa. The most notable difference in the oils is their appearance and smell. Roman Chamomile essential oil has a lighter, blue and yellowish color and has a light, floral scent similar to that of an apple. The German Chamomile essential oil has a notably darker blue color and a muskier, more earthy odor which is nonetheless sweet, but not as floral as the oil produced by the Roman variety of the plant. There are also subtle differences in the chemical makeup of each plant, making them suitable for treating different ailments. 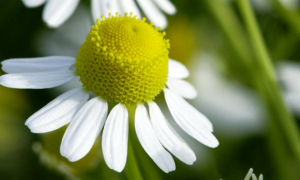 For instance, German Chamomile essential oil is more suitable for topical and external use and is often used to relieve dry, flaky skin, treat inflammation and skin disorders such as eczema and psoriasis as well as promoting the growth of new skin tissue. Roman Chamomile oil is better suited towards treating issues below the surface of the skin such as muscle pains, spasms, arthritis and headaches. It’s also helpful for inducing sleep and relieving you of emotional issues like stress and anxiety. However, both oils can be utilized for either topical or internal use as they’re both considered safe and non-toxic. In fact the oils are also known to help flush the blood of any toxins that may lead to or cause infection later on and have been linked to stimulating the kidneys and liver to help digestion as well as removing toxins that may gather and cause urinary tract infections or kidney stones. 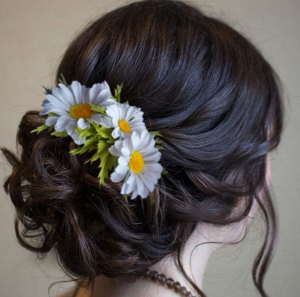 Chamomile Essential Oil for Hair. 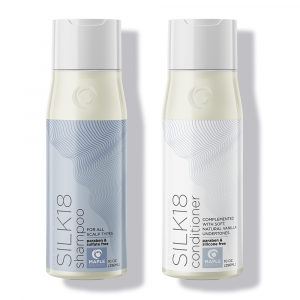 More and more people are starting to realize that normal, on-the-shelf shampoos are not as good for your hair and scalp as they might claim. They can often wash out most of the natural oils that keep our hair moisturized and leave your hair feeling dry or frizzy. This oil imbalance can also contribute towards damaged hair and split ends when left untreated, as the oil also contains many of the vitamins and nutrients needed for healthy hair. 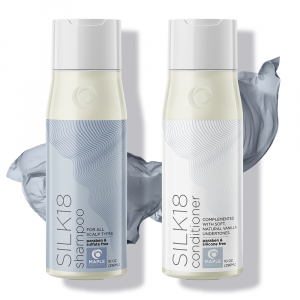 The reaction to this has been a steadily growing interest and use of herbal shampoos and essential oils to help treat and wash hair, as they’re organic products (and therefore produced ethically) and don’t damage your hair over time – not to mention the fact that they cost a lot less in general. Chamomile essential oil is great natural hair treatment as the antiseptic and antibacterial properties of the oil can kill off any germs or bacteria that may linger on your scalp after washing, or gather over the course of the day, and thus help to stop and ultimately prevent scalp inflammation and infections. Scalp inflammation is one of the main causes for dandruff and the excess skin cells produced by the inflammation are the first notable symptom that your scalp is probably inflamed. By including 4-5 drops of the oil into your normal herbal shampoo, or by directly massaging the oil into your scalp, and through your hair, you actively soothe the irritation caused by an inflamed scalp as well as contain and remove the unsightly excess skin cells from your hair. The oil will also moisturize your hair and scalp, allowing it heal properly over time as well as restoring it’s natural sheen and lightness. The terpenes, sesquiterpenes and flavanoids will also help to strengthen your hair follicles from within, allowing for less hair loss and generally stronger hair overall. The oil can also help to lighten your hair color making it very effective for people with highlights or naturally lighter hair color. I would recommend that you utilize Roman Chamomile oil for treating your skin. In general, I would recommend that you utilize Roman Chamomile oil for treating your skin, but German Chamomile oil also works in case you can’t find any of the latter. 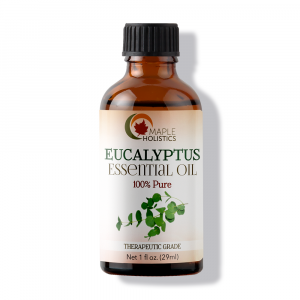 The same phytochemicals that make this essential oil so good for treating your hair and scalp, also help in terms of treating your skin. The natural antiseptic and antibacterial qualities of the oil help to remove any bacteria and germs that commonly occur on the surface of your skin and can lead to infections. So the oil can be utilized as a strong natural antiseptic ointment when treating burns or minor wounds without the additional toxic chemicals that most antiseptic treatments contain. The oil is safe and non-toxic so it won’t irritate sensitive skin types. The oil is also known for its cicatrisant and analgesic properties, so can speed up the healing process (when used on minor wounds, burns and scars) as well as relieve the pain that generally comes with cuts, wounds and burns. This also makes the oil suitable as a natural skin toner and can be used to help treat and ultimately remove the effects of acne and blemishes on our face. Blemishes commonly occur when excess sebum oil (necessary to keep our skin moisturized) builds up on the surface of the skin and, along with dead skin cells, block up our pores. This is typically common with oily and combination skin types. The antiseptic and antibacterial qualities of the oil help to cut through the sebum oil and remove the dead skin cells from our skin, leaving our pores open and clean. The cicatrisant and anti-inflammatory properties of the oil will also help to seal your pores over time (preventing further blockages in future) as well as relieve the inflammation that is common with acne and pimples, making them less noticeable and painful. Simply wipe 2-4 drops of the essential oil onto your face after your normal facial routine and leave it on for 5 minutes. Then rinse the oil from your face with warm water. Repeat this 2 or 3 times a week for the best results. 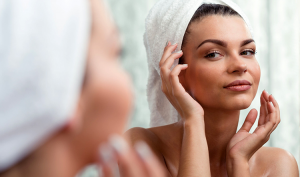 The oil can also be used to help lighten your skin and produce a more controlled, unified complexion. The oil can be used to help relieve dark rings around your eyes, as well as uneven skin tones that may come as the result of uneven sun exposure or even just with age. To utilize the oil for this treatment, follow your facial routine as per normal. Then heat 1 tablespoon of coconut oil in a pan until melted and add roughly 6-8 drops of Chamomile oil as well as 4-5 drops of Lavender essential oil to the mixture and stir well. Allow the oil to cool so that it’s warm, but not hot to the touch. Gently massage this mixture onto the affected areas and allow the oil to seep in for at least an hour. You may leave the oil in overnight if you wish, as the longer you leave it in, the more effective it becomes – but that’s really up to you. Once the time has elapsed, simply rinse the oil off with warm water. With continued use, you should start to see a lighter skin tone in general and the dark spots under your eyes should start to disappear. As a rule of thumb, use the treatment 3 times a week for 2 weeks continuously before you start to see any noticeable changes. 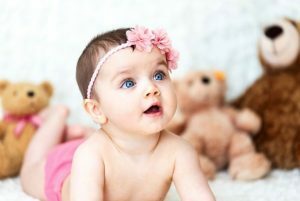 In general, I always recommend consulting a doctor or qualified healthcare practitioner before using any essential oils on young children or during pregnancy because even though they’re natural products and are generally considered safe for use, they’re still potent natural concentrates and may have adverse effects on your child’s health (such as irritations or upset stomachs) and can affect the birthing process. So it’s always better to be safe rather than sorry in this case. That being said, Chamomile essential oil can be used to help your child sleep as it’s widely considered a natural sedative. Simply massage 1 or 2 drops of the oil onto your child’s back or chest after bathing to ensure that they have a peaceful sleep (and sweet dreams too!). The oil is also quite effective in helping to reduce the pain associated with teething and can be applied to the child’s gums with a clean cotton swab. Read about Your Hair’s pH Levels, Best Shampoos For Colored Hair and Parsley Benefits For Skin at Maple Holistics! In general, I would highly recommend Chamomile tea for any household because not only is it an effective and affordable natural treatment for so many different health issues that we commonly experience throughout our lives, but it’s also a wonderful oil to add to an oil burner or diffuser. 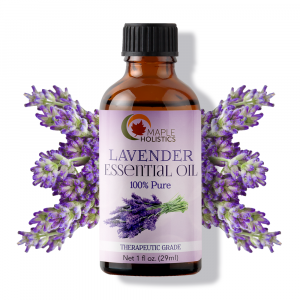 The scent is light, and floral and can help to instill a sense of peace and serenity in your home – not to mention encourage healthy sleep and get rid of anxiety and stress, something that affects so many of us in this fast-paced era. 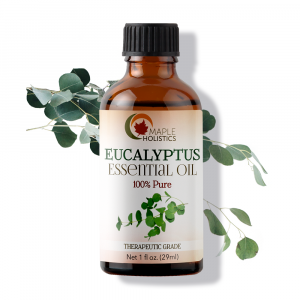 The oil also blends well with other floral or citrus-based oils and makes a wonderful addition to any collection of essential oils for medicinal or aromatherapy uses. 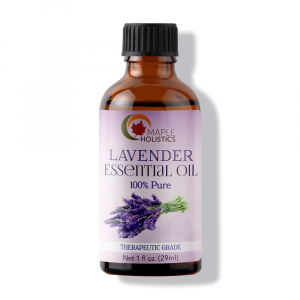 It’s a fantastic supplement or even replacement for many of the pharmaceutical medicines that line the kitchen cupboards or bathroom cabinets of most of our homes. Chamomile essential oil can also be added to teas or used in baking, so is an essential oil for anyone who’s an avid tea connoisseur or loves baking.